I used my favorite Typeset Speciality Designer Series Paper - it's thinner than our normal Designer Series Paper and comes with double the amount of sheets in the pack (24 sheets). It's just like real newsprint and I love it! 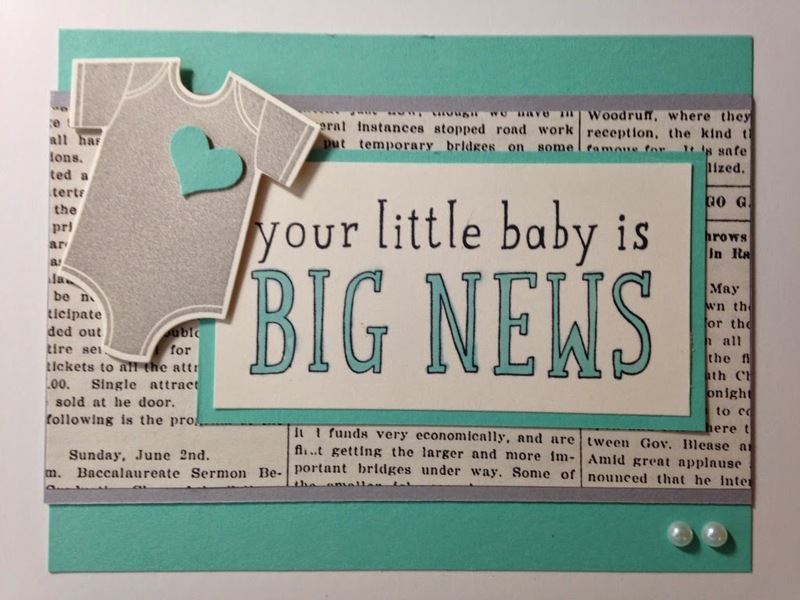 Speaking of love, who doesn't love the new bundle with the Something for Baby stamp set and matching framelits? Super cute and EASY! I love anything I don't have to fussy cut myself! Thanks for checking out two of my display samples! Catch you tomorrow! another one of my favorites. Love what you did with this stamp set.